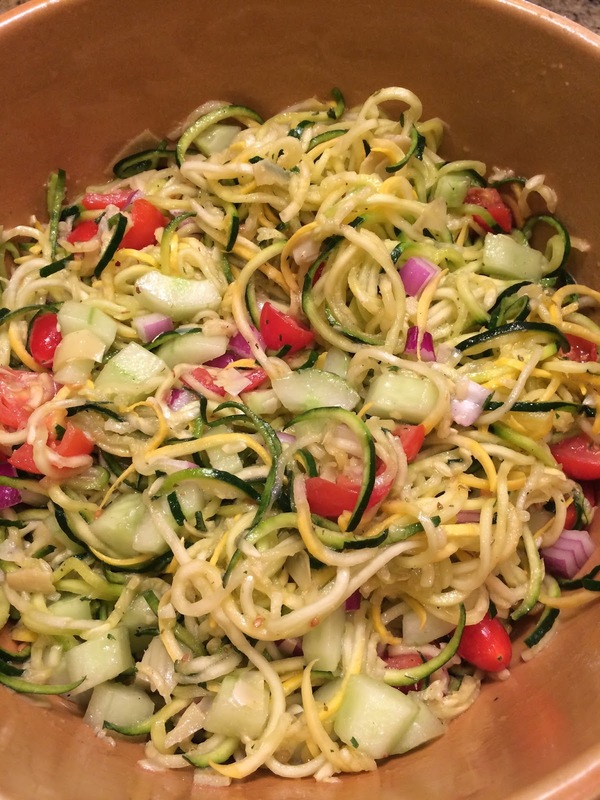 Summertime and noodle salad. Is there anything more American? 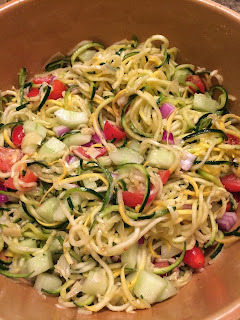 Thanks to this zoodle version of spaghetti salad, those of us who do not get along with grains don't have to be left feeling hungry or unpatriotic. We have established that worship requires focus, a choice, and knowledge of the object of our praise. While we can have a knowledge of God independent of belief, we cannot know God apart from a relationship with His Son, Jesus, (John 14:6). Through a relationship with the Son, we come to know the Father. We begin to understand His character, recognize His actions, and believe His promises. Jesus, the Author of our faith, by the power of His Spirit in us, gives us eyes to see, ears to hear, and a heart to love our great God. To know God through Jesus is to enter the Paradise our first parents lost; and like Adam and Eve before they fell, we have good work to do in the Garden. We have the great privilege of cultivating beauty and fruitfulness through a living, active relationship with God. This is a life of worship. And He has not left us without tools for the job.